I guess that, if I start early, I might have the right amount of stars to make a beautiful Christmas garland in time! See the how to at home by linn. 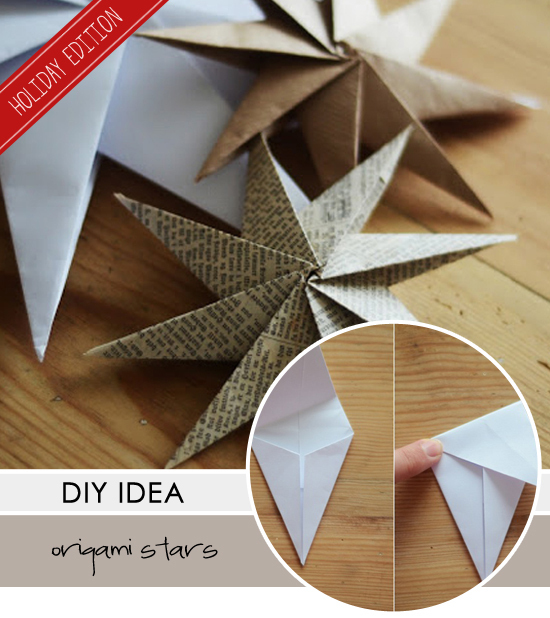 2 comments on "DIY: Origami stars"
Hi! I've been trying to use the tutorial for this star, but I keep getting stuck on the 7th photo. Do you have pictures of how you fold each piece? Thanks! Perhaps you should address this question to the creator of the tutorial. Linn? You'll find the link on the post above! Good luck!